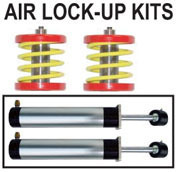 Cylinders are used when there is not enough room for an Air Spring. Most Hondas prior to 2001, Dodge Stratus, some Nissans, Mitsubishi's. 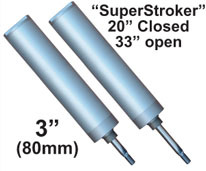 We have just developed a Triple 4" Airstrut that will fit most of these applications. They will require 4.5" in the CLEAR, and you may have to adjust your upper strut tower to align for clearance. 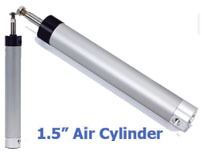 Cylinders have a small air chamber and they do not expand like a Airspring, so they tend to ride rough. Airstruts will solve this problem. 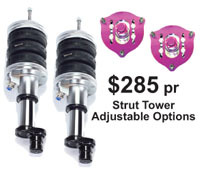 Accumulaters will also improve the ride greatly, but not a factory ride like you get from Airstruts. 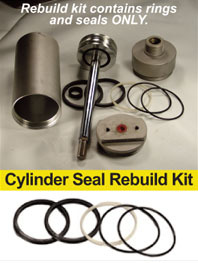 4" (100mm) Cylinders can be used on the front or rear. They will make slight contact with the Carms, but will not be damaged. 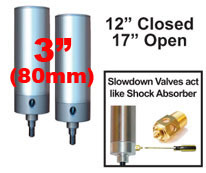 Buy Slowdown Valves, which are adjustable and act as a shock absorber, improving the ride. If you have room for 4" Cylinders, you have room for Airstruts. Sure they cost more, but do it right the FIRST time. 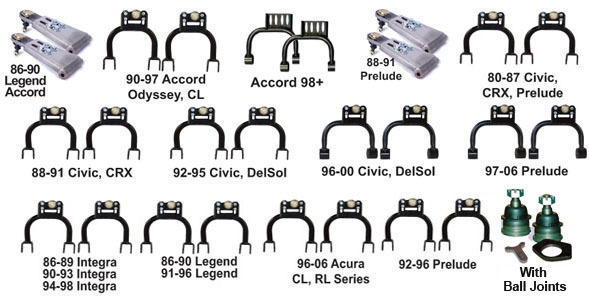 If you are on a budget, you can install accumulaters and slowdown valves for a greatly improved ride. 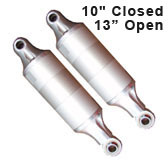 3" (80mm) Cylinders can be used only on the rear. They do not exert enough force to use on the front of most vehicles. 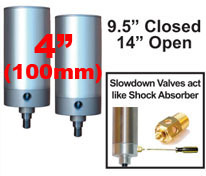 Buy Slowdown Valves, which are adjustable and act as a shock absorber, improving the ride. If you have 4.50" in the clear (diameter) , you have room for Airstruts. Sure they cost more, but do it right the FIRST time. 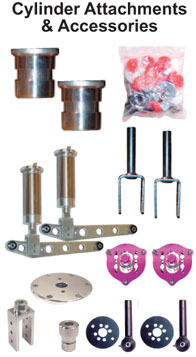 If you are on a budget, you can install accumulaters and slowdown valves for a greatly improved ride. Need help call 800-842-8789. Before you buy, read Knowledge Base under RESOURCES on the Left 2.5" Diameter, 10" closed, 13" open. Cylinders get shorter, not longer when air is applied. Go to this link for more information on our Biker Kits Page. Need help call 800-842-8789. Before you buy, read Knowledge Base under RESOURCES on the Left 1.5" Diameter, 9" closed, 13" open. 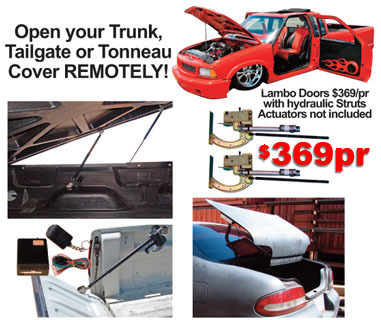 on Heavy Lambo Doors, we do not guarantee whatsoever because most installers abuse them. 2" . 8" . 10" .12"